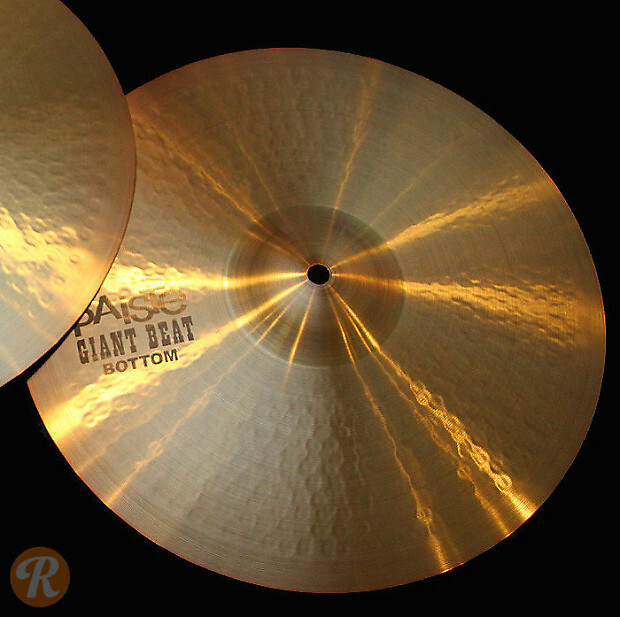 Developed during the rapid expansion of rock music in the '60s and considered the forerunner to Paiste's now-standard 2002 series, the Giant Beat cymbals are crafted using traditional techniques and alloy for a warm, sedate sound. The company re-introduced this line in 2007 after being discontinued for a number of years. In addition, these are versatile cymbals with applications in both loud and quiet environments as well as rock, jazz, a wide variety of Latin genres, and funk. The hi-hats feature a softer stick response and warm wash when played open. This price reflects the top hi-hat.